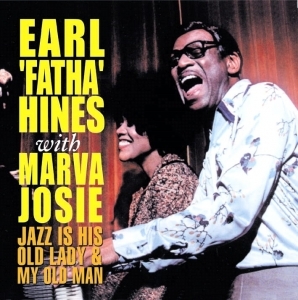 The great Earl Hines first met Marva Josie in 1968, impressed by her range, style and appearance she became the latest in a long line of important vocalists who had worked with the master pianist. Following in the footsteps of Herb Jeffries, Billy Eckstine, Sarah Vaughan, Johnny Hartman and Etta Jones. All of whom owed some part of their career to Hines. On this album recorded for Catalyst in 1977 her versatility is well in evidence as she sings a variety of numbers ranging wildly in tempo, age and mood. Underneath it all is Earl Hines lifting the ensemble and soloists to new heights.